President Taft, Harry Truman, LBJ, and Bill Clinton have all visited Worcester while in office. The following are links about Presidental Visits you may find interesting. Also check out the other pages. The following are comments left about Presidental Visits from site visitors such as yourself. They are not spell checked or reviewed for accuracy. 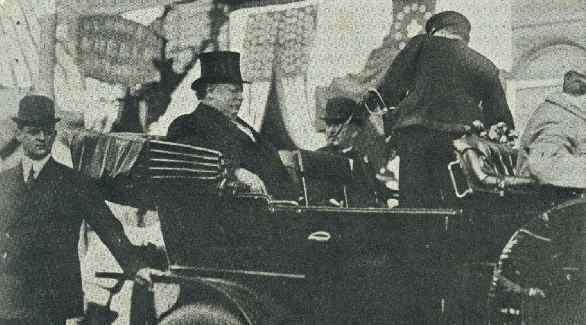 President Taft came into Worcester from Millbury riding through Quinsigamond Village. He had often walked barefoot through this section of town as a boy. In addition to Taft, Harry Truman visited Worcester in the early 50's on behalf of Adlai Stevenson's campaign. Perhaps someone has a photo of this event to add to these archives. LBJ visited Worcester and made a speech at Holy Cross in 1964. I was walking down College Street one day, and a woman asked me if I wanted to see the President. She had an extra ticket to the Holy Cross graduation. It was Lyndon Johnson and I was curious because it hadn't been that long since JFK was assassinated. I remember wondering if I would get in trouble for going in by myself, but thought I had a good reason. Pete, President Taft didn't live in Worcester or even visit as a kid. let alone walk the streets barefoot. Seems to me I went downtown to see JFK pass in a motorcade in the early 60's. Wish I could recall more specifics! John I can not answer this about President Taft.But back in the early 80's.An older gentleman told me that Taft spent some time.Maybe before or after he was president with a good friend in Royalston ma.I am guessing if this is true probally when he was a supreme court justice.So maybe he came through Worcester to get to Royalston? @ Terry Lindren, I have a family video that shows a Kennedy in a parade walking down Park Ave. The video was made by my Uncle. President Theodore Roosevelt spoke at the 1905 Holy Cross commencement. I was maybe five but I remember my dad hoisting me up on his shoulder and telling me "That's President Eisenhower". 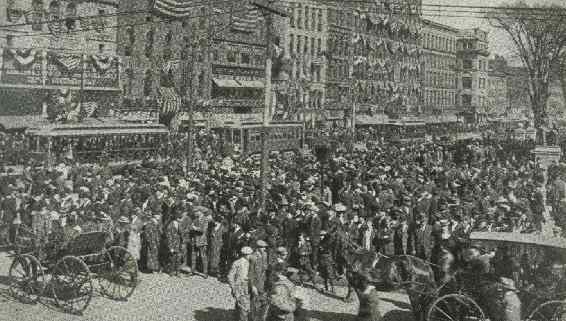 Ike and Mamie stood on the balcony of city hall and waved to the crowd. They were in Worcester for something that had to do with John Volpe. Pres Clinton and VP Gore came in for the Fir Fighters memorial. My Mom took us to see John Kennedy, he flew into Worcester Airport. We stood on Pleasent up a bit from Chandler with a bunch of other people and he drove right by us with the window down waving.